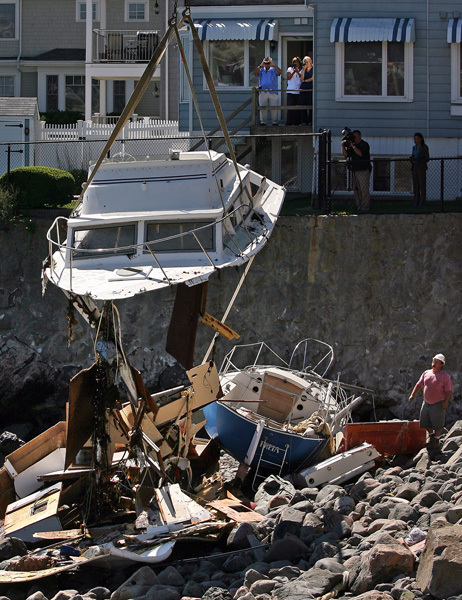 The scene in Swampscott today as salvage crews worked along Fisherman’s Beach and other boats sat idle on King’s Beach after washing ashore in yesterday’s storm. See my photos below. I’m Back From Vacation, What Did I Miss? Posted in Uncategorized | Comments Off on I’m Back From Vacation, What Did I Miss? 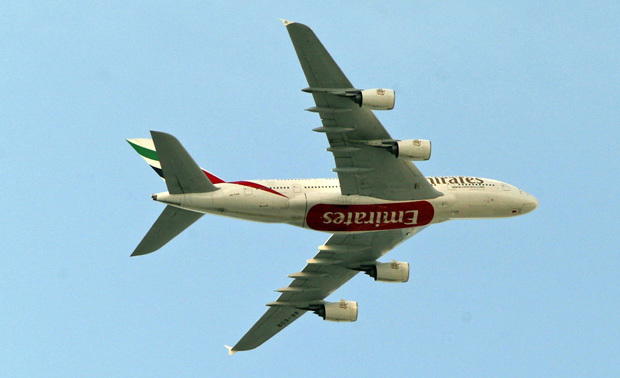 Largest Airliner in the World Flies Over Boston After Being An Earthquake Diversion. 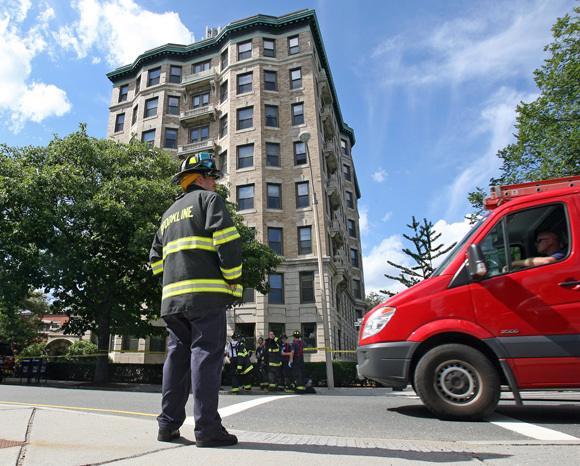 As a Boston Herald photographer, I was covering the evacuations of 3 large Brookline buildings due to possible structural concerns after today’s quake. I looked up, and there she was. A United Arab Emirates Airbus Super 380. That’s right, the double decker jet that can carry nearly 600 people. This was one of the many diverted airplanes from NYC and the Washington DC area due to the earthquake. No further info. Today’s Earthquake and The Eerily Similar Feel to One Awful September Day. Posted in Uncategorized | Comments Off on Today’s Earthquake and The Eerily Similar Feel to One Awful September Day. 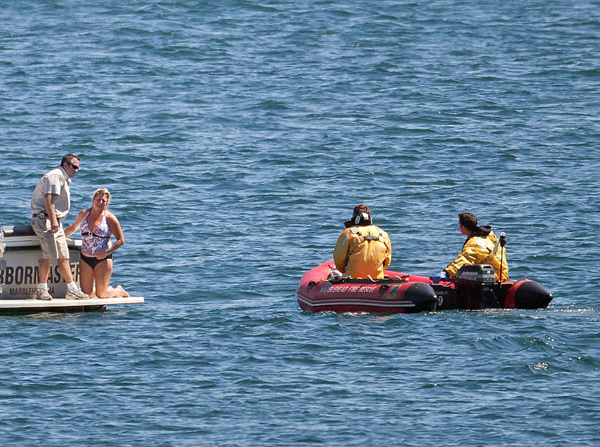 Marblehead Harbormaster Rescues Woman and Two Kids. 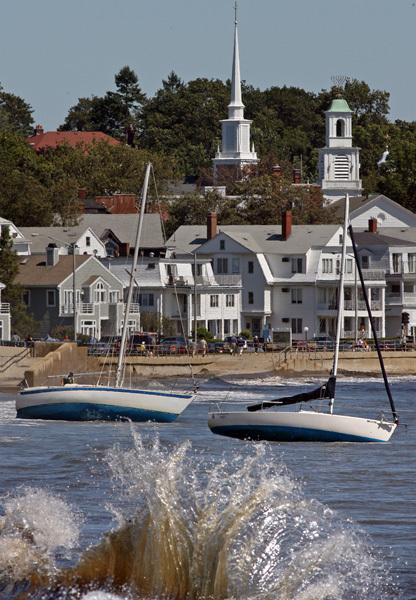 I happened upon this as I was in Swampscott yesterday afternoon. 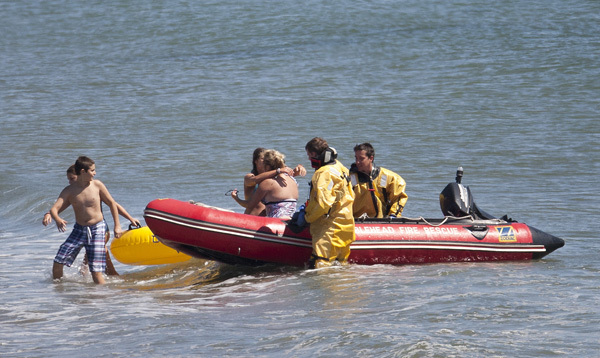 From twitter reports and what I witnessed, it appears that 2 boys, floating on an inflatable “donut”, were blown out to sea at Preston beach by the strong west wind, and that an aunt of one of the boy’s swam out to try and save them. 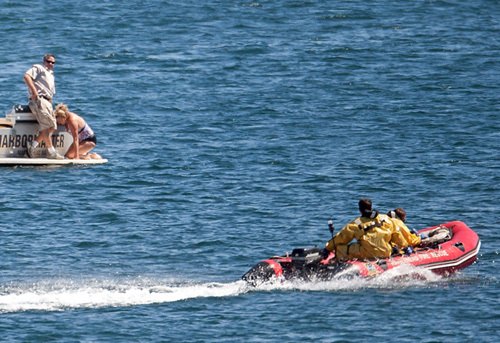 All three were corralled by the Marblehead Harbormaster and then brought to shore by Marblehead firefighters. See my photos below. 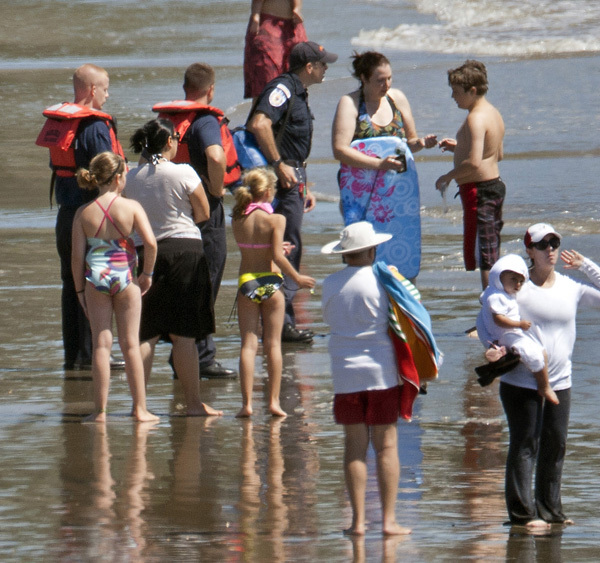 Posted in Uncategorized | Comments Off on Marblehead Harbormaster Rescues Woman and Two Kids. 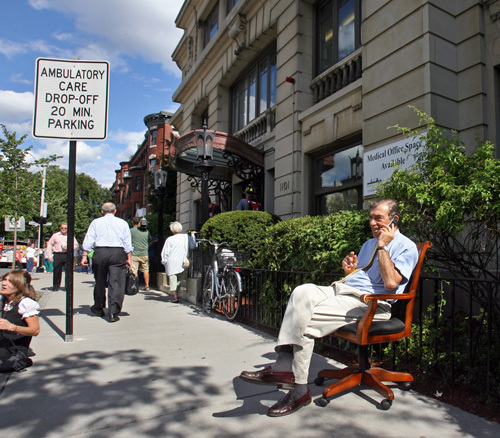 A Leica Camera Street Scene From Boston’s North End. This man, who handed me a business card that read pigeonride.com, was securing his bike to a pole on Hanover St. in Boston’s North End. This is a stuffed or fake pigeon, I’m not sure which, glued to his helmet. 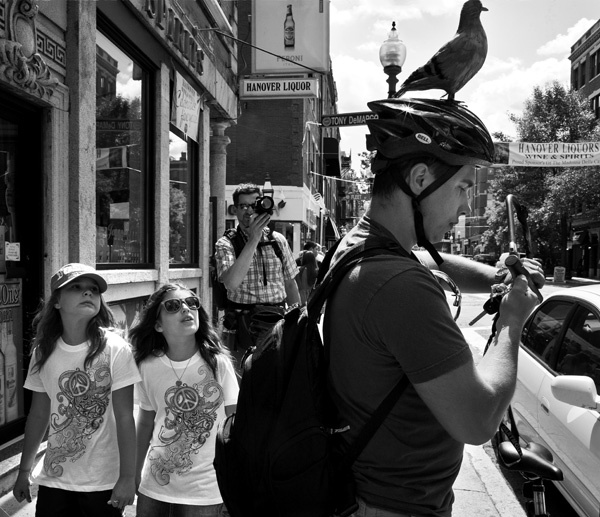 I snapped this photo with a Leica M9 and a 24mm Elmarit lens. I was participating in a Leica photography class called Leica Akademie. Special thanks to Leica’s Christian Erhardt and Justin Staley for an awesome and informative class. The Brighton Murder/Standoff. I got a bit too close. I responded to Ledgemere Rd. in Brighton today, just prior to 11 a.m. for a report of a person shot. 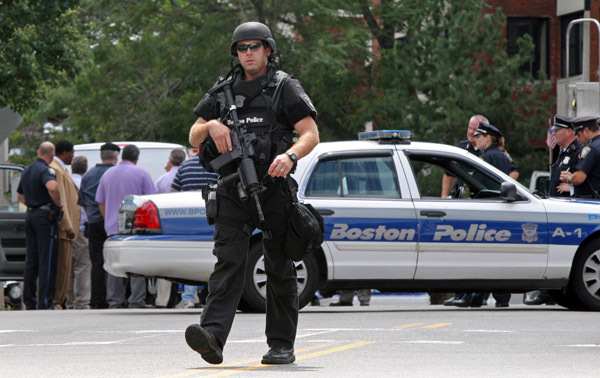 Boston police dispatch said, via the police scanner, that state police had received the one call. I headed that way slowly until the first responders confirmed the shooting and then asked dispatch for a “push” on the paramedics. They said he was shot to the chest but still breathing. I accelerated my response and then a startling phrase came through my scanner speakers. “Shots fired at us” (the police)! 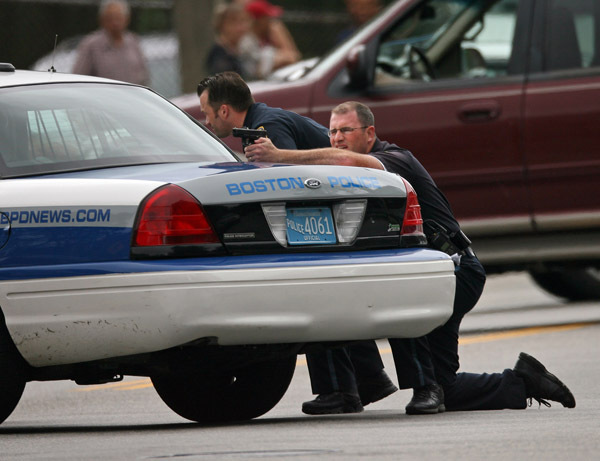 I parked my car and ran toward the scene taking cover behind a brick wall as additional officers were arriving to bolster the first responders and EMS who were now taking refuge in the basement. See my photos below. 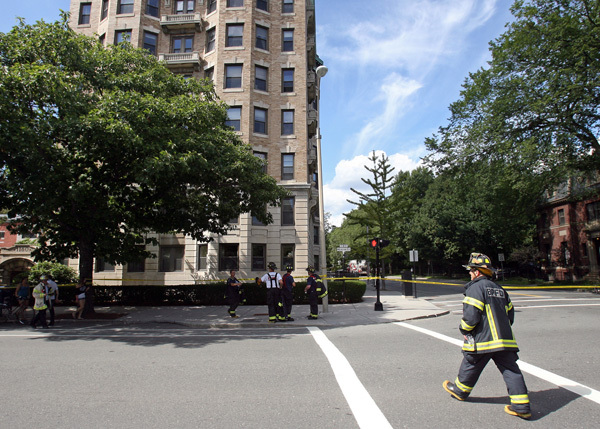 The scene was still fluid with no police tape, so I figured I was all right in my location as long as I did not move. WRONG! 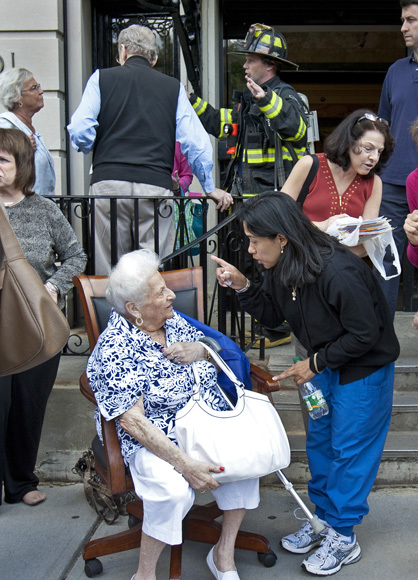 See the last photo (scroll down) taken by photojournalist and friend Byron Smith. 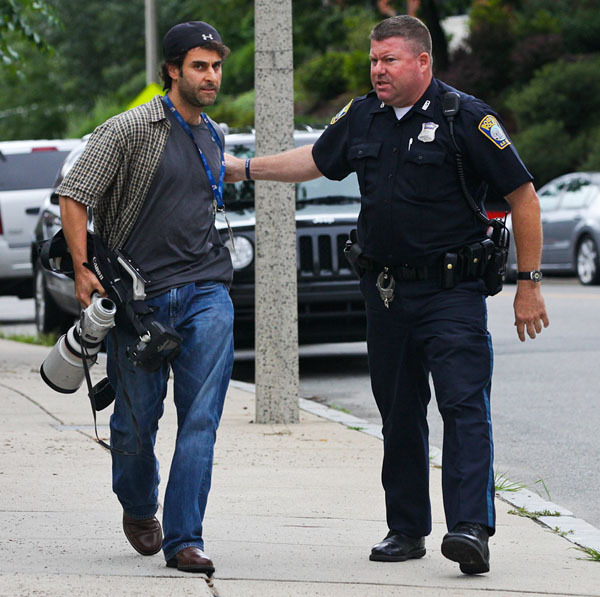 This is me getting moved out of the area by a very fair officer. 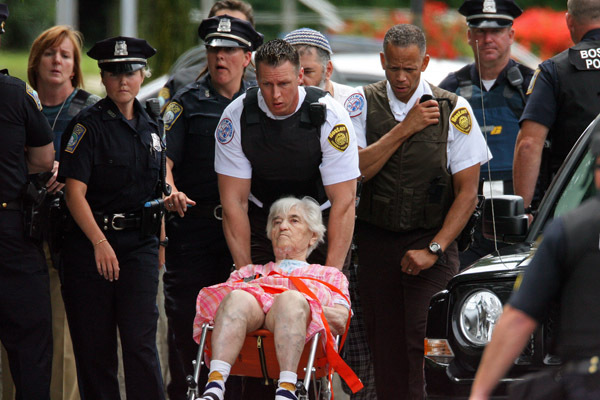 Anyway, I did manage to get a photo of police in a defensive mode with guns drawn and then police and EMS evacuating a nearby senior center. 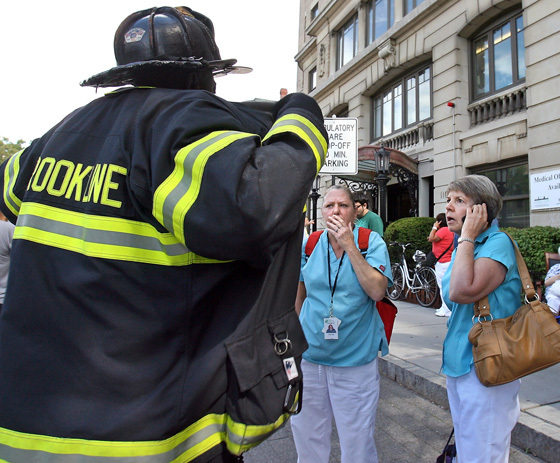 See more of my photos along with a Boston Herald story here. 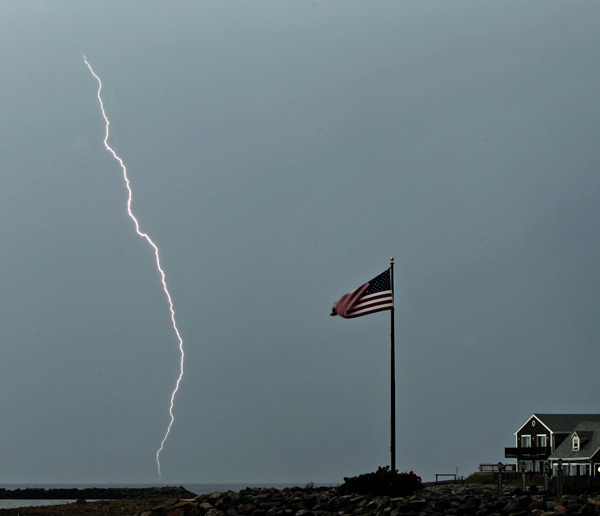 Old Glory and Today’s Lightning Storms, From Revere Beach. 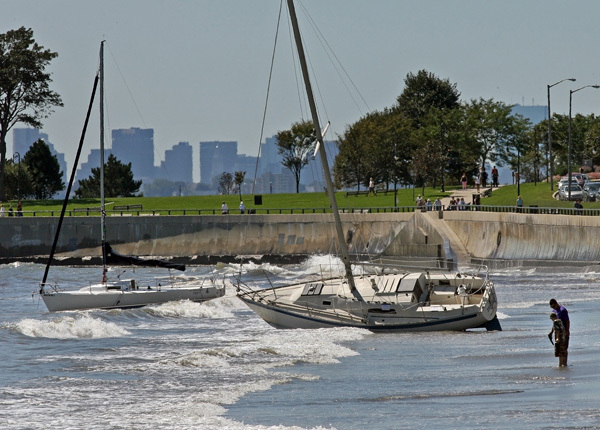 I snapped this photo early this evening from Revere’s Beachmont section. Today’s storms were very hard to judge, photographically speaking. The first lightning event popped up pretty fast from the persistent dark cloud bank that was hanging to our west most of the day. I was in the Point Shirley section of Winthrop waiting and waiting for the storms to form. 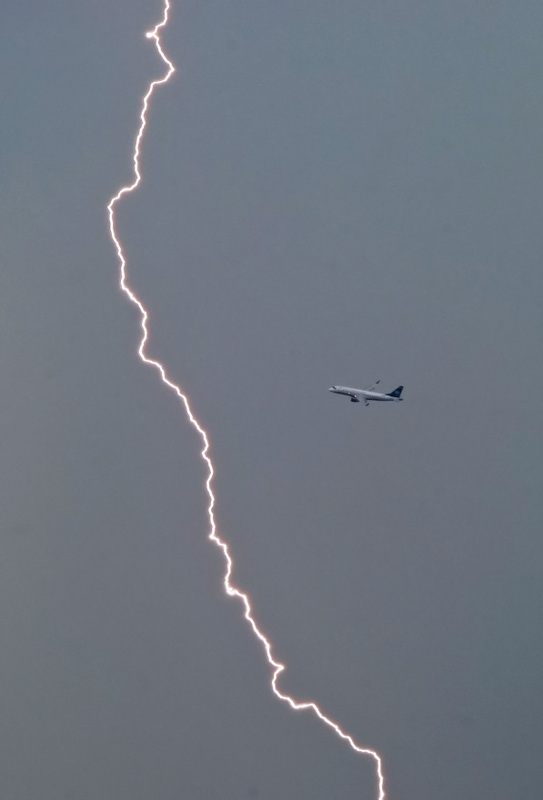 Unfortunately the lightning, after only a few dull and distant bolts, became quite fierce directly overhead. So it was a bit too dangerous for me to set up outside. Thankfully, storm after lightning producing storm continued to form and move east. Sadly, this was the only success I had all day. Funny, with the whole debt crisis bill being passed today, I think maybe it’s an appropriate photo, maybe a hopeful photo. That is, Old Glory standing proud in the face of a dangerous storm. Let’s hope!! Posted in Uncategorized | Comments Off on Old Glory and Today’s Lightning Storms, From Revere Beach.